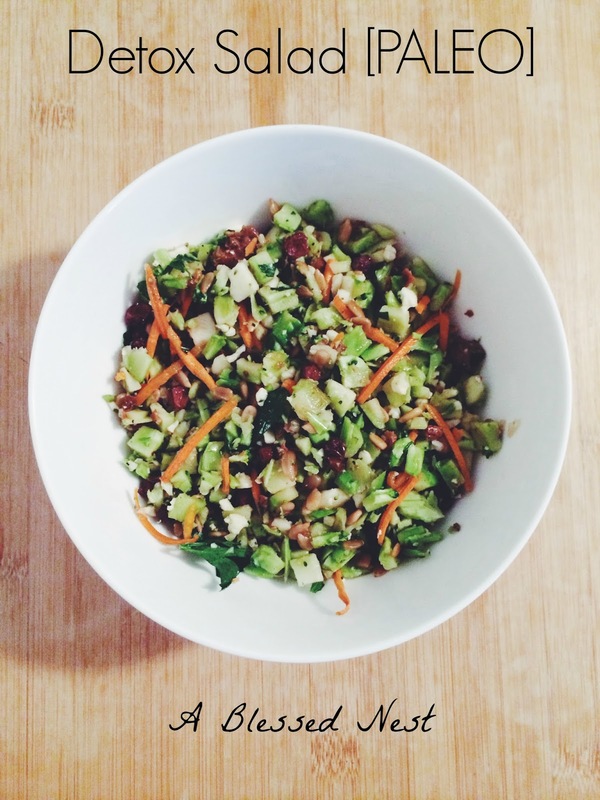 About a year ago, I stumbled upon the Detox Salad at my local Whole Foods -- colorful and packed with cruciferous veggies, I immediately knew it was a nutritious powerhouse. Even my husband liked it! Since starting my WHOLE30 journey, I decided to recreate my own for a quick and easy lunch or a midday snack to fill me up while still satisfying me and keeping me lean. Extra sunflower seeds to garnish with // I'm pretty much obsessed with sunflower seeds these days so I love dropping a few on top of the salad before eating! I made this and it's delicious! Thanks for the great recipe... keep 'em coming!